Another shocking success tailored for SONY. KITCHEN extends one’s scary moments during Halloween. Soft selling does shock. KITCHEN helps SONY impress audience with its new models of image and video cameras. Riding on the craze at Ocean Park during Halloween, SONY builds 3 haunted houses there to respectively promote its all-new image capturing products from Cybershot, Handycam, and Alpha. In one house, frightened faces of visitors are captured by Cybershot digital cameras. They can then download the photos at the Halloween mini site developed by KITCHEN. In the second haunted house, a video clip is captured for every visitor by the latest model of Handycam. The video clips are all stored on the SONY pre-registration YouTube page where visitors can view their yell-like-hell moments as many time as they wish. For the Alpha camera, a more engaging way is employed – A photo competition. 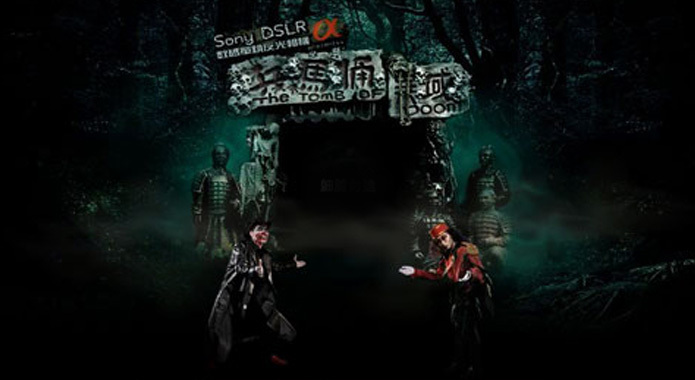 People can upload pictures shot with SONY Alpha cam to a special site built by KITCHEN and wait for “The Judgment Day”. Once and again, one doesn’t need a 3rd eye to tell this launch by KITCHEN is something more than a phantom success.